A lot of music musicians and bands claim to be unique but most fail to live up to that claim. Red Baraat, which is headlining a show on March 23 at the World Café Live (3025 Walnut Street, Philadelphia, 215-222-1400, www.worldcafelive.com), doesn’t claim to be unique – even though the band truly is. 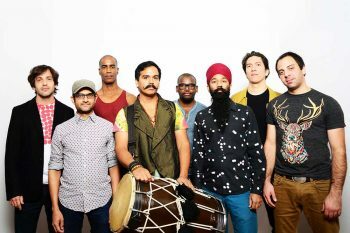 Red Baraat’s founder and leader in Sunny Jain, a New York jazz musician of Indian descent whose main instrument is the dhol (a double-headed drum from India). “I had been playing drums and tabla before I started playing dhol,” said Jain, during a phone interview Tuesday morning from his home in New York. “Bhangra Pirates” (Rhyme & Reason Records), which will be released on March 24, reflects a more evolved and elaborate sound developed over the last two years of heavy touring and the addition of a full-time guitar player. 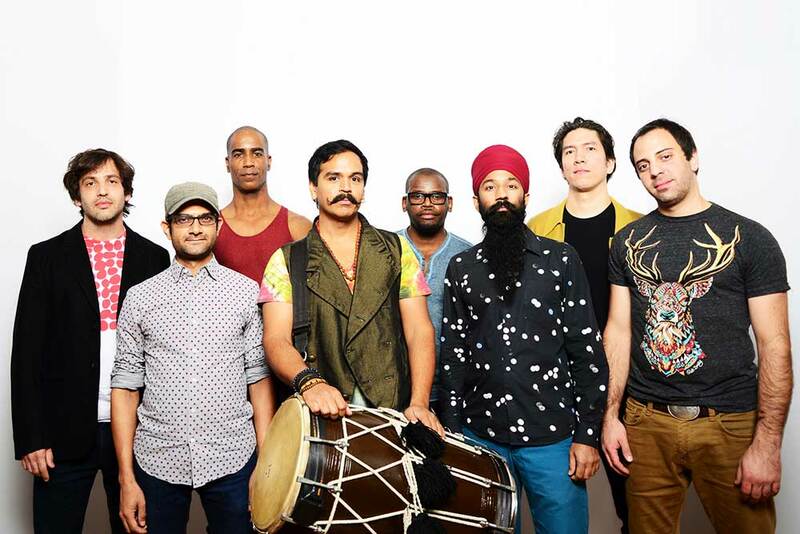 The show Thursday night, which is part of Red Baraat’s “Festival of Colors’ in honor of India’s Holi festival, features South Indian vocalist Ganavya and Pakistani punk band The Kominas as opening acts. The show at the World Café Live will start at 8 p.m. act. Tickets are $18 in advance and $20 day of show. Other upcoming shows at the World Café Live are Dirty Dozen Brass Band on March 24, Leonard Cohen Tribute Concert on March 25, Jonatha Brooke on March 26, Holly Bowling on March 28, Tift Merritt on March 29 and the T Sisters on March 29. Also on March 23, a very different but equally intriguing style of music will be performed when MAKO brings its “Run for Your Life Tour” to Underground Arts (1200 Callowhill Street, Philadelphia, http://undergroundarts.org). To hear MAKO now is to witness the project at a creative crossroads — a trip four years in the making. 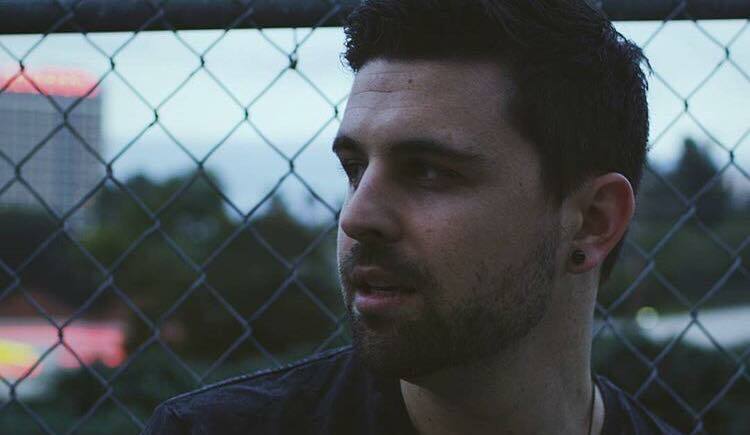 The music side of MAKO is provided by frontman/songwriter/vocalist Alex Seaver. He is joined by Logan Light, an L.A.-based EDM deejay. MAKO is touring in support of its debut album “Hourglass,” which was released December 9, 2016 via Ultra Music. Light is not joining Seaver on this tour. The story of MAKO is the story of Seaver’s journeys – his geographical journey from California to New York and back to California and his musical journey from classical music to EDM (electronic dance music) to pop and indie rock. “I grew up in San Diego and wanted to go to college at Julliard ever since I was a freshman in high school,” said Seaver. “I was a classical French horn performance major. “I met Logan the first week I was in L.A.,” said Seaver. “Rob Light, his dad, and my dad were roommates at Syracuse University and remained friends ever since. “Rob worked in the music industry as an agent. So, I called to meet with him to see if he could help me get started in movie music. He brought his son (Logan) to our dinner meeting and we became friends. Light was building a name for himself as a deejay and had enough momentum in his career to attain opening slots for EDM giants Tiësto and Avicii. “Logan took me to the Electric Daisy Carnival in Las Vegas,” said Seaver. “That was my introduction to EDM and I became a big fan. I really love big, epic, dramatic music with a lot of emotion. Seaver was thrown headfirst into the electronic music world and the two friends formed MAKO. Before long, MAKO became one of the hottest acts in the electronic music world. The duo’s first release, “Beam,” amassed more than 25 million online views and streams. SiriusXM quickly jumped on board, anointing them “the next big thing,” and the rest of the electronic musical community followed suit. MAKO have since worked alongside many top artists, including Avicii and Steve Angello. Additionally, Seaver has scored music for and worked alongside League of Legends/Riot Games on a variety of projects. He also has scored for independent film, television and several commercials. With “Hourglass,” MAKO bid farewell to its former style of dance floor burners and hands-in-the-air beats with an evolved sound — sincere, story-based songwriting; cinematic arrangements and orchestral instrumentation; and indie rock stylings….all while retaining key electronic elements. “I made ‘Hourglass’ in my humble studio in North Hollywood,” said Seaver. “I did it mostly in the box. It was about a two-year project from start-to-finish. Video link for MAKO – https://youtu.be/tL1dv6ecRrg?list=PLJYj-okQgiiIB3c9faeW7631zwx-aCICz. The show at Underground Arts, which has Agent Zero as the opener, will start at 10 p.m. Tickets are $15 in advance and $18 at the door. Other upcoming shoes at Underground Arts are Tractorbear on March 24, David Uosikkinen’s In the Pocket featuring Richard Bush (The A’s), Fran Smith, Jr. (The Hooters) Wally Smith (Smash Palace) on March 25, Beb Rexha on March 26 and The Architects on March 27. Barbary (951 Frankford Avenue, Philadelphia, 215-634-7400, www.facebook.com/thebarbary). HNRY FLWR is the creator of “The Message.” In 2014 HNRY FLWR began mixing different length sound waves using ancient synthesizers and a team of musical experts to create a type of music that is 100% earnest. According to HNRY FLWR, before this method of sound control, music was an insincere endeavor solely energized by a pure form of propulsion known as narcissism. The HNRY FLWR B(r)and was discovered and founded by Hugh “Blaze” Boylan of Blaze B. Mgmt. 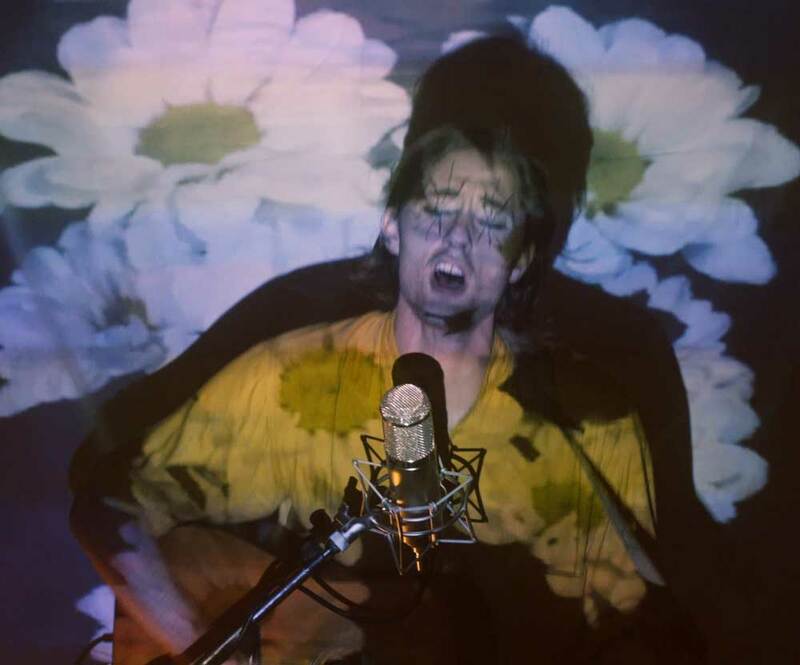 HNRY FLWR’s debut EP “Flowerama” will be released in June on Paper Garden Records. HNRY FLWR and Boylan are one-and-the-same and, at the same time, separate beings. “HNRY FLWR is sort of an entity,” said Boylan, during a phone interview Wednesday afternoon from his home in Brooklyn, New York. “He’s like this pure vessel for the music to go through. He’s completely detached from the business side of things and that’s where Blaze comes in. HNRY FLWR is a band and it’s a brand. With the wide range of modern electronics, opting for vintage synthesizers might seem like a strange choice. “With ancient synthesizers, the sounds are an attempt to be cosmic,” said Boylan. “Old synthesizers have an ancient feeling to them. That limitation is the key to losing yourself in the sound process. You end up expressing yourself digitally. Boylan’s childhood was spent in Belgium, Switzerland, Iowa, North Carolina and finally Connecticut. His high school days were spent in Fairfield County, Connecticut. Boylan went to college in New Haven and it was there that he started his first band. “I had been in a bunch of rock projects and sweaty, alt-rock rock-and-roll party bands,” said Boylan. “That phase ended when it didn’t feel like me anymore. “The creation of HNRY FLWR was to listen and to be aware – to put on a show that’s sensitive and honest. It changed my life. The touring band features Abdon Valdez III (Hellbirds) on drums, Connor Grant (GOASTT) on keyboard and guitar, Max Currier (Absolutely Yours) on bass and HNRY FLWR on vocals and guitar. Video link for HNRY FLWR — https://vimeo.com/208542742. The show at the Barbary, which also features The Ferdy Mayne, Kodiak Park and Elison Jackson, will start at 7:45 p.m. Tickets are $7 in advance and $10 at the door. Tim O’Brien is celebrating the March 31 release of his new album “Where The River Meets The Road” with series of live shows, including a show on March 24 at the Sellersville Theater (24 West Temple Avenue, Sellersville, 215-257-5808, www.st94.com). O’Brien was born and raised in Wheeling, West Virginia. When he was young, he got introduced to country and bluegrass music by listening to WWVA (1170 khz., Wheeling) and WSM (650 khz., Nashville). He eventually relocated to Boulder, Colorado and now lives in Nashville, Tennessee. “Where The River Meets The Road” brings O’Brien full circle in some ways. All 12 album tracks are connected to West Virginia. 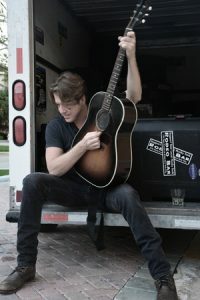 “It’s a return to form,” said O’Brien, during a phone interview Wednesday morning while he was travelling on I-40 from Nashville to a show March 23 in Richmond, Virginia. “I’m focusing on West Virginia and my involvement with where I’m from. I’ve tried to show the breadth of the music from the state. “I cut the album at a studio in Nashville – The Butcher Shop. I’ve used that studio for my last few albums. I work with my good buddy Dave Ferguson as producer. “I came home from the road last October and decided I should make a record. It was a concept album dedicated to music from West Virginia. “Living there, I was definitely influenced by its culture. It was fun to look back at my influences. It’s kind of cool to connect all those dots. “I only wrote two songs on this record because I wanted to focus on other people from the state. My song ‘Guardian Angel’ was about growing up in Wheeling. O’Brien, who was inducted into the West Virginia Music Hall of Fame in 2013, worked with the Hall on the selection of the album’s other 10 tracks. “I saw a lot of that music live,” said O’Brien. “WWVA was great because I could go down and watch the acts up-close. O’Brien left Wheeling in his late teens and eventually decided to live in the clean mountain air of Boulder, Colorado. It was in Boulder that he co-founded the progressive bluegrass band Hot Rize. Hot Rize’s eponymous album debut came out in 1979 and has been followed by another seven albums. “Where the River Meets the Road” O’Brien’s 16th solo release. His first solo release was “Hard Year Blues” in 1984. “I’m still recording regularly – and I tour a lot,” said O’Brien. “Right now, I’m going to Richmond and then I’m heading your way – rolling, rolling on these rubber wheels. “I mostly do weekend tours. I could play four days a week but I need to do the laundry and walk the dogs. “I’ve played the Sellersville Theater a couple times. I played there with Hot Rize and played there on my own. Now, my partner Jan is singing with me. I play guitar, banjo, fiddle and mandolin and I have a pretty female to sing – Jan Fabricius. “The record sale table at shows is always the main retailer for my music. Bluegrass fans want to support their favorites as much as possible because they know that acts make the most money of the albums if they’re bought live. 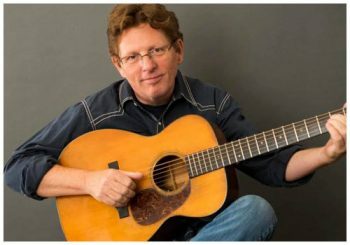 Video link for Tim O’Brien – https://www.youtube.com/watch?feature=player_embedded&v=62db5rMc2ns. The show at Sellersville, which has Danny Burns as the opening act, will start at 8 p.m. Tickets are $25 and $40. Other upcoming shows at Sellersville are Commander Cody along with Jack Murray & The Blue Tarp Wranglers on March 23, Beru Revue on March 25, and Time Traveller on March 26. 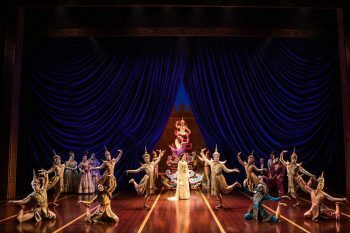 “The King and I” is running now through April 2 at the Academy of Music (Broad and Locust streets, Philadelphia, 215-731-3333, www.kimmelcenter.org) as part of the Kimmel Center’s “Broadway Philadelphia” series. One of the all-time great American musicals, it is based on Margaret Landon’s 1944 novel “Anna and the King of Siam” and derived from the memoirs of Anna Leonowens, governess to the children of King Mongkut of Siam in the early 1860s. 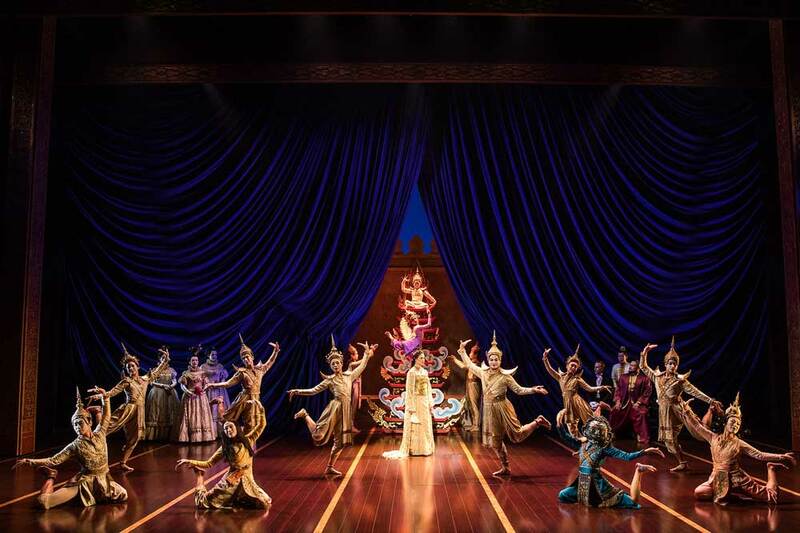 The musical tells the story of the unconventional and tempestuous relationship that develops between the King of Siam and Anna. It is a romantic comedy that also speaks to culture clashes — how people are polarized. Video links for “The King & I” – https://youtu.be/zp0gUMykOO4 and https://youtu.be/TGPdfosMrqc. The show, which has both matinee and evening performances, will sit down in Philly through April 2 at the Academy of Music. Ticket prices range from $20-$125. The Candlelight Theater (2208 Millers Road, Arden, Delaware, 302- 475-2313, www.candlelighttheatredelaware.org), which was dark for a few months because of renovations, is now up and running again. The new production is the timeless classic “Camelot,” the story of King Arthur, Queen Guinevere and Sir Lancelot. The show will run through April 23. Performances are Friday and Saturday evenings (doors 6 p.m./show, 8 p.m.) and Sunday afternoons (doors, 1 p.m./show, 3 p.m.). There will also be performances on March 29 at 11 a.m., April 13 at 6 p.m. and April 19 at 11 a.m.
Tickets, which include dinner and show, are $60 for adults and $33 for children (ages 4-12). 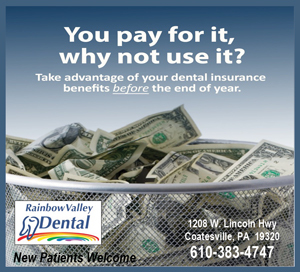 Kennett Flash (102 Sycamore Alley, Kennett Square, 484-732-8295, http://www.kennettflash.org) will host John Eddie and His Dirty Ol’ Band on March 24, and Jeffrey Gaines and Ben Arnold on March 25. Deb Callahan and The Holts on March 23. Chaplin’s (66 North Main Street, Spring City, 610-792-4110, http://chaplinslive.com) will host Herman and Friends Spring Music Showcase on March 24. The Ardmore Music Hall (23 East Lancaster Avenue, Ardmore, 610-649-8389, www.ardmoremusic.com) will present Pimps of Joytime and Swift Technique on March 23, Splintered Sunlight with special guest Natalie Cressman on March 25, Will Power – Tower of Power Tribute on March 26 and Galway Guild with special guest The Whiskey Trail Band on March 29. Burlap & Bean Coffeehouse (204 South Newtown Street Road, Newtown Square, 484-427-4547, www.burlapandbean.com) will present Joseph Parsons and Jess Klein on March 23, Chris Trapper with Jennifer Kimball on March 24, and Billy Penn Burger and Katherine Rondeau on March 25. The Keswick Theater (291 N. Keswick Avenue, Glenside, 215-572-7650, www.keswicktheatre.com) presents Trace Adkins on March 23, The Temptations and The Four Tops on March 25, and Rick Steves on March 26.